You must be a member of the Lagos Games Group to attend this activity. Would you like to join this group? 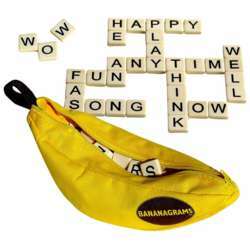 Wait out the traffic with us: come chill out and learn to play bananagrams while eating what some call the best middle eastern cuisine in Lagos. I will come with the tiles. Just come ready to go bananas! *P.S. We will be meeting up at a restaurant, so please come hungry and ready to order and support the place. Each person has he/her own bill.